“Information is power”, explained Laura Wawun-Kiri, Practice Manager from the Office of the State Solicitor. “Knowing how you manage and use it ethically is important not just in leadership roles but across all levels. Some people use it for corrupt purposes; you can use it for better decision making, helping others, stopping corruption and encouraging accountability,” she said. 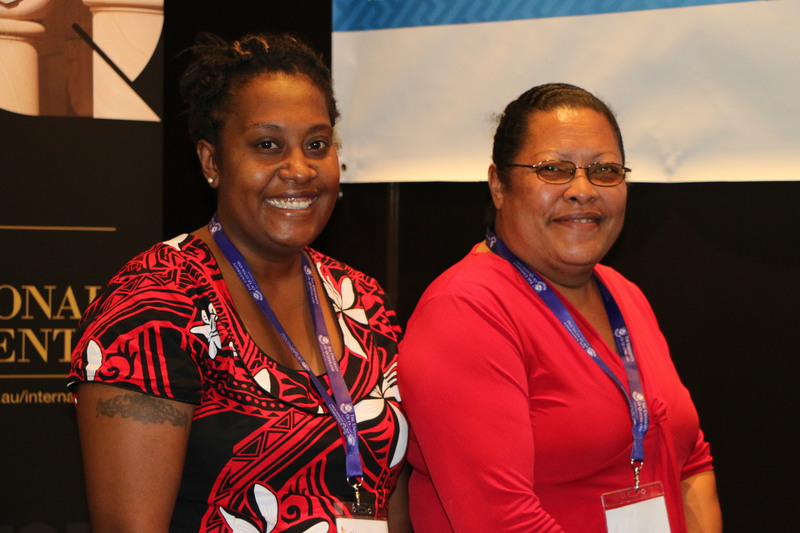 Laura is one of the 36 participants who attended the four day short course on “Information studies for law and justice” facilitated by the University of Queensland for the PNG-Australian Government’s Pacific Leadership and Governance Program. The course covers a range of topics including; principles of information within the Ethical Leadership and Management Framework, using information in investigation, traditional and modern approaches to using the media, legal considerations when reporting unethical activities. Laura Wawun-Kuvi from the Office of the State Solicitor with Francesca Tamate from the Public Prosecutor’s Office.